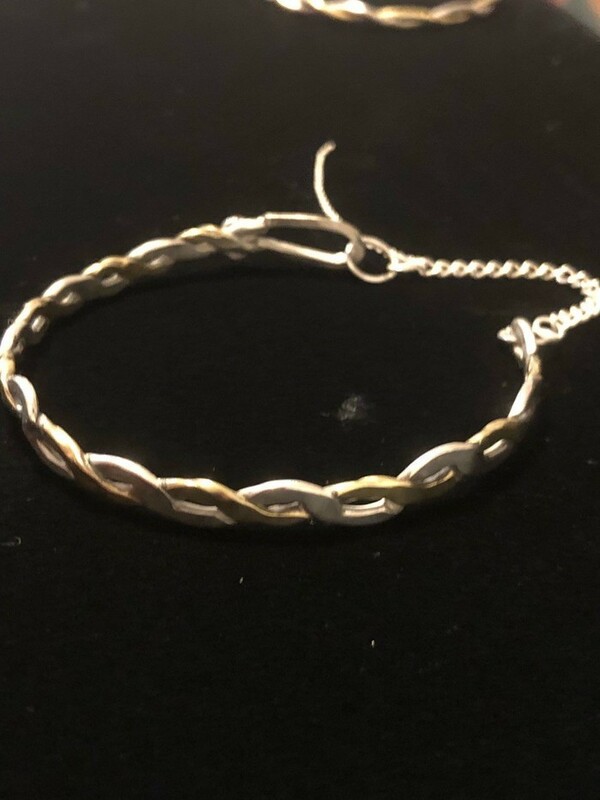 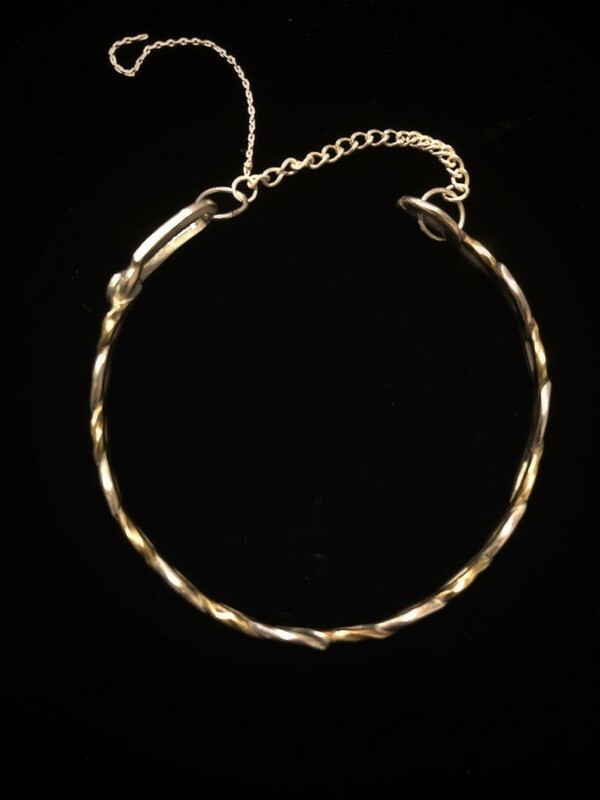 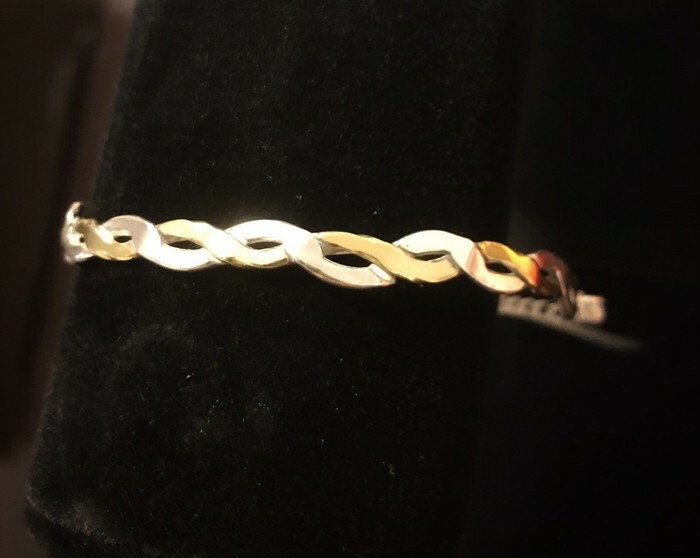 Flat worked Sterling silver and brass twist bracelet with delicate chain. 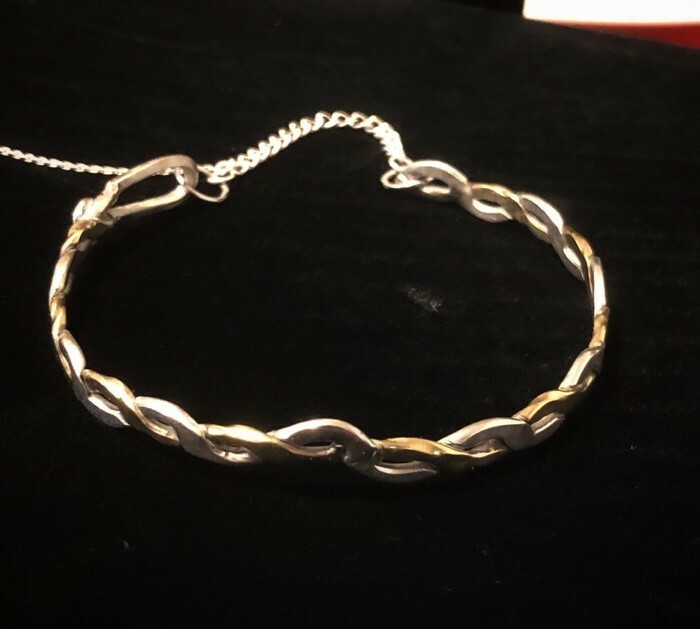 19cm twist bracelet I made with sterling silver and high quality brass. 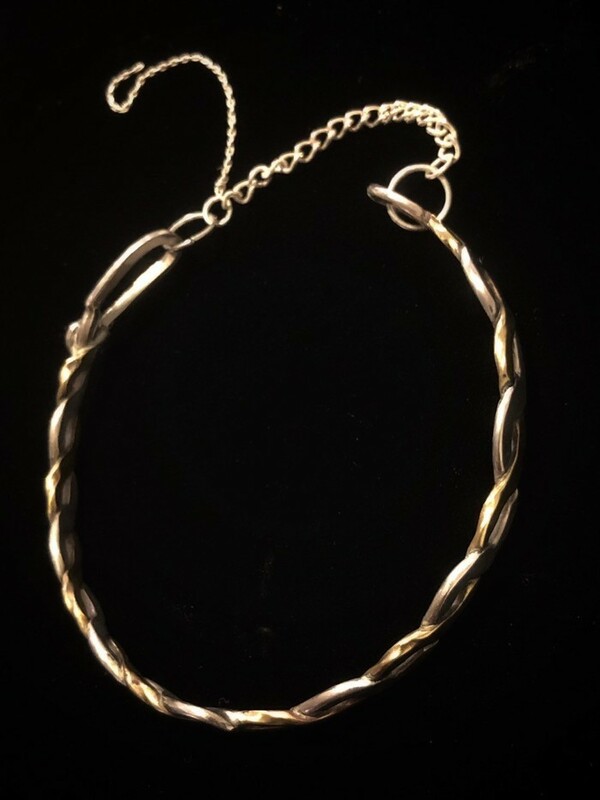 It is a delicate piece that has a real shine to it as the silver and brass colours have a wonderful play of contrast together. 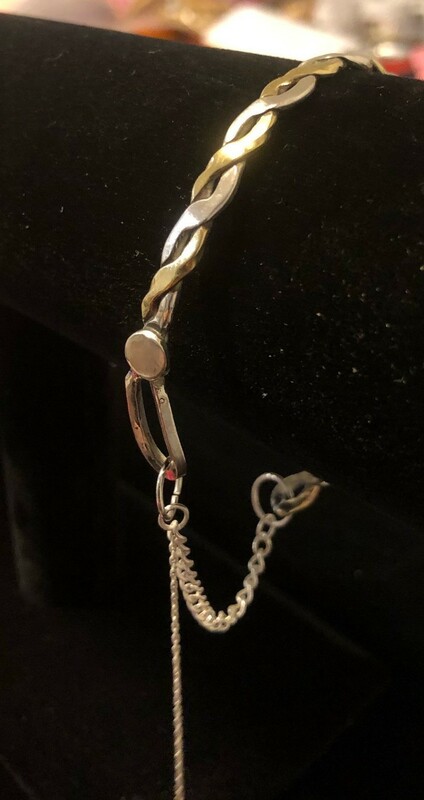 I placed a delicate sterling silver extender chain to connect the two ends.